My first and permanent totem is the Snow Leopard. She first appeared to me directly after doing a totem animal meditation that was conducted by CharmingPixieFlora on YouTube. It wasn't during this meditation which I found her, but she found me. She came to me, letting me know who she is and why she was there for me. 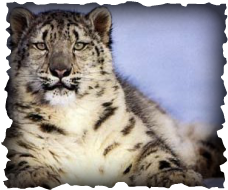 It is quite funny actually, since I forgot Snow Leopards even existed until she showed up, even then I had to look up what she looks like. She has been with me from the beginning, but only recently have I become around her. They are mainly found in the remote regions of the Himalayan mountains, being very rare and very solitary. It only bonds with another and hunts with another during the mating season. The female usually only gives birth from one to four cubs a year, much like other mammals. The message of this totem animal is the power of silence, mindfulness and paying attention. It teaches us to be silent and alert to wait for opportunities to present themselves to us. It also knows how to make use of every ounce of energy, not wasting. Having the Snow Leopard as my totem means that I am a fearless leader, that I am learning to use my power wisely and effectively. All this is done to become better equipped with your shadow self. Trust your intuition and your dreams, use caution when out of your territory. Some times it is better to blend into the background than to be in the spotlight.